10th Planet Jiu Jitsu is a system of Jiu Jitsu created by Eddie Bravo. Many people confuse this statement in meaning “Eddie has created a new martial art form of twisting and attacking the body.” This article is just one of many that exist on setting the record straight. As a long time student of Eddie’s and a teacher of the 10th Planet system since 2007, I understand the importance of knowing this system. I am somewhat of an oddity because I am also a practitioner of Brazilian Jiu Jitsu (gi) and Japanese Jujutsu. Internet forums often go off about “gi vs nogi” or “complex moves vs basics”. These arguments have nothing to do with the effectiveness of the 10th Planet Style. I am not here to tell you which style of grappling is the best. None are. They all have merit and all practitioners can benefit from knowing something from the other. I know a lot of BJJ black belts that study Eddie Bravo’s approach to grappling and have incorporated his ‘moves’ into their study. Some do it in secret others are up front about it. No one teacher has answers to everything. I remember hearing Professor Pedro Sauer (8th Degree Red and Black belt in Gracie Jiu Jitsu) once say “ You can learn a lot from a white, blue or purple belt. They will often come up with solutions you’ve never thought of.” I asked the Professor one day “What do you think of Eddie Sir?” He responded “He is a talented kid and actually has done a lot for jiu jitsu.” Pretty nice words from one of the world’s most respected and technical instructors. Those who don’t understand the system will simply say “ its all about rubber guard and twister.” That’s like saying Sambo is only leg locks or Catch Wrestling is only about neck cranks and crushes. If you really look at 10th Planet Jiu Jitsu, it is a well thought out system of attacks and defenses from a variety of positions. It uses unusual positions (from the traditionalists point of view) to set up submissions. It is very offensive in its approachBeing flexible certainly helps to do some of the moves, but not all. But this goes for any art form. In time, you develop very good squeezing power and attacks from all positions. To be honest, one of the greatest gifts the 10th Planet system has and that Eddie has give the world, is his view of the half guard. He explored that position in crazy detail and came up with sweeps and attacks that traditionally weren’t there. There are counter arguments to any point. I’ve heard everything from “rubber guard will hurt your knees” to “10th Planet moves will only confuse people” to “ that stuff will never work”. I’ve used it more times that I can count. I’ve seen people much better in jiu jitsu use it as well successfully while rolling and competing. 10th Planet Jiu Jitsu is not a stop gap measure. It isn’t the final solution. It isn’t the anti jiu jitsu. What it is-it’s a fantastic style of jiu jitsu that will teach you some amazing moves not found in traditional avenues. Add to your tool box and discover what it has to offer. That doesn’t mean leaving traditional BJJ behind. In fact, if you look at the new breed of Jiu Jitsu players now, they are just like Eddie. They are coming up with new positions and attacks that weren’t around 20 years ago. What Eddie did was set the ball in motion years before anyone else with his out of the box thinking. Now, it is common place. In the end, it’s all Jiu Jitsu. 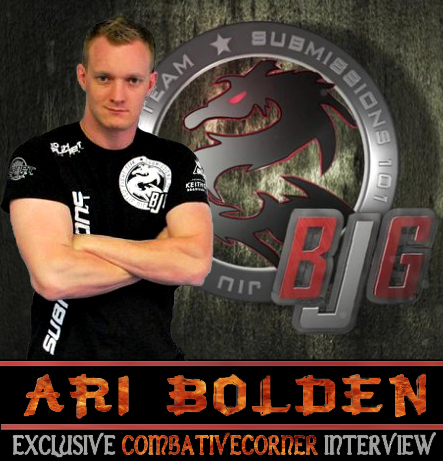 Guest author Ari (Bolden) Knazan is the founder and president of the most popular Jiu-Jitsu video channel on the planet, Submissions 101 (YouTube) and the owner of Fierce Studio in Victoria, British Columbia. Starting his channel in 2007, Submissions 101 (as of Jan. 2012) #50 most viewed (all-time. Canada) and is nearing its 90,000th subscriber. Ari is an amazing martial artist, teacher and friend. He has also been a bouncer since 1995 and has written two books on the subject; Doorman’s Credo (2001) and Headlocks and Haymakers (2004). Click on his picture (above, left) to visit his website. This entry was posted on January 18, 2012 at 1:15 pm and is filed under Jiujitsu, Martial Arts, Styles with tags 10th Planet, 10th Planet Jiu Jitsu, Ari Bolden, Ari Knazan, BJJ, Brazilian Jiu Jitsu, Eddie Bravo, Fierce Studio, grappling, Jiu-Jitsu, Rubber Guard, Submissions 101, Twister, youtube. You can follow any responses to this entry through the RSS 2.0 feed. You can leave a response, or trackback from your own site. Fantastic post! Running across true experts who readily admit that they don’t know it all is one of the things that keeps me sticking like glue to the sport. Truly appreciate your words and perspective. Roll on!